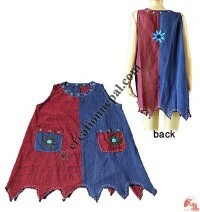 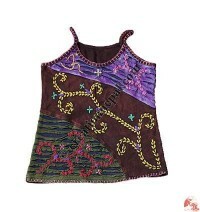 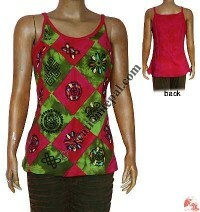 Creation Nepal manufactures and exports beautiful high quality tank tops and sleeveless blouses with patchwork, hand embroidered, razor cut, stone wash designs that are colorful and trending ethnic design. 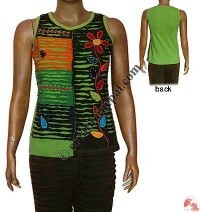 Creation Nepal is a leading manufacturer and wholesalers of Nepalese handmade t-shirts, Nepal summer tops and Nepal tank tops. 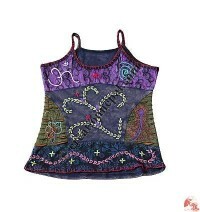 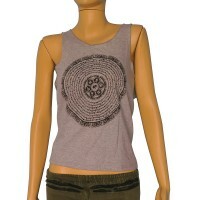 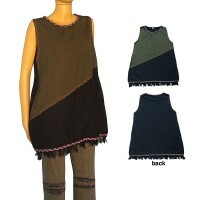 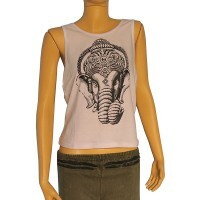 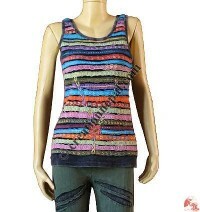 We offer a large varieties of ladies tops and tank tops for both casual and formal wear. 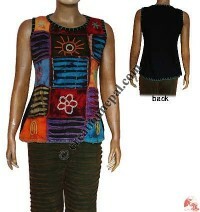 Creation Nepal's women's tops, fashionable tank tops, ladies fashion tops are prepared in various designs using tie dye, hand embroidery, stone wash, block prints, brush paints etc. 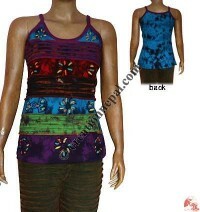 Nepalese tie dye tank tops, hand embroidered tank tops, Nepalese hand painted tank tops, Nepal Ladies tops, handmade Nepali tops are designed looking at the trending fashion market. 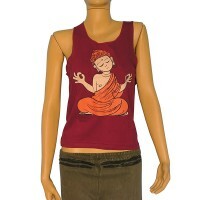 Being a pioneer Nepal Clothing online store we have a large varieties of ladies fashion tops, ladies T-Shirts and Tank tops online at Creation Nepal Nepal. 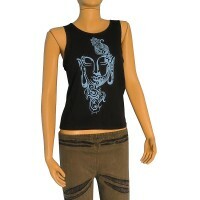 Try our large selection of T-Shirts & Tank tops online at reasonable wholesale price.